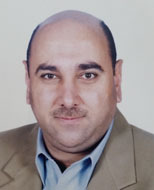 Mr. Hani Acra, born on August 27th, 1960; owns a Lebanese based Investigating company; ‘Middle East International Adjusters’. Middle East International Adjusters was founded by Victor M. Acra on 15 February, 1963. Mr. Victor M. Acra with his long standing experience in the field of insurance claims has excelled throughout the Middle East since 1949. The Firm operated under the name of “Victor M. Acra” from 1970 to 1979. They returned to the Lebanese Market in 1994. Since then, they have re- established their local operations to the utmost satisfaction of its clients and reinsures concerned. We are now operating in Lebanon, Syria, and Iraq. We have correspondents in various other countries too. Mr. Hani Acra is well established and has his areas of expertise in Property Claims, Casualty Claims, Business Interruption Claims, Liability Claims, Engineering Claims, Banking and other Financial Claims, travel claims, as well as Pre Risk Surveys, and claims settling agents. His main motto is to offer professional claim investigative services based on clients’ needs and requirements and build a trust among them by assuring successful outcome. Our team of claim investigators in Lebanon is trying its best to provide you more than the results, their expertise provide you with various strategies to utilize those results in most efficient and effective manner. All our associates are very well experienced in fraud insurance claim investigations and well known in their respective locale consequently we can give you the best and prompt service. Indeed we cover all over Lebanon including Beirut, Tripoli, Sidon, Zahle, Tyre, Jounieh, Baalbek, Byblos, Nabatieh. Kindly contact us on our email: info@gvs.ae according to your requirement respectively.